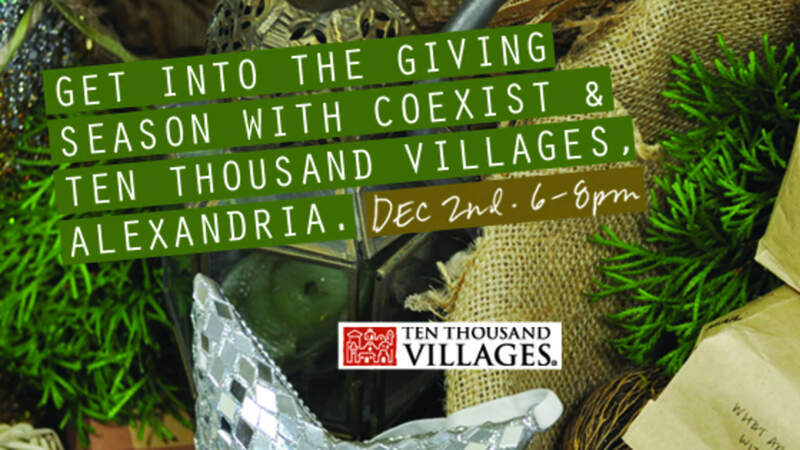 Our first on-shelf, in-store appearance will be at Ten Thousand Villages, Alexandria. Our coffee will be stocked on their shelves starting December 2, and we’re having a big kick-off event that night from 6-8 p.m.
We’ll be sampling our coffee throughout the event, so for anyone who hasn’t tried it yet, now’s your chance. It’s also an amazing opportunity to shop for fair trade holiday gifts, as a portion of the profits from all store sales during the event will go to the Coexist Campaign. For D.C.-area folks, this means you’ll be able to stock up without shipping costs and without hunting us down. For non-D.C. folks, this means that you should stay tuned. We’re just getting started with our in-store experience, and we hope to be coming your way soon.